Survival in extreme temperatures, weather conditions and terrains requires dependable lighting. Energizer® Ultimate® Lights are designed and built to meet the demands and needs of extreme outdoor activity enthusiasts. Advanced circuitry optimizes performance with long runtimes, multiple illumination options and adjustable brightness levels from 100% - 6%. 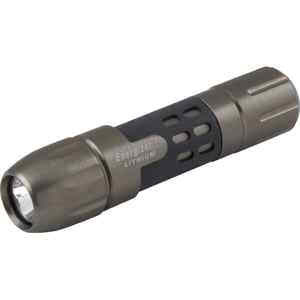 Rugged, water–resistant casings are lightweight and ergonomically comfortable. Extreme circumstances require extreme dependability. ELMCL11LEN 1AA Ultimate Lithium Flashlight 65 Lumens 4.33" x 1.12"
ELMCL21LEN 2AA Ultimate Lithium Flashlight 110 Lumens 6.28" x 1.12"